In recent times, the slingo games have become as popular as they can get, and more and more players are experiencing and playing them. Even though the first slingo tries were a long time ago with a failed attempt to be interesting, the second time was the charm for them. This is where Slingo Originals come into play. They are one of the few providers (probably for now) who are making original slingo games and slingo games from already existing slots and bingo games. For the time being, Slingo Originals are focusing on the mobile device as their main platform. They have 25 years tradition in this area which fairly recently got its attention on the market. Let’s start off this chapter by explaining the slingo games. They are a combination of slots and bingo into one, relatively new game inspired by the two that we mentioned above. The slingo games use the reels of the slot as the platform for the gameplay, while instead of the slot symbols they are using the bingo balls. There is a bowl of balls usually placed on the right-hand side of the screen which randomly pops up number by number, just like the bingo games. The goal is to create a line on the reels – the bigger the line is and the more bingo balls that you’ve crossed, the more chances you have for a win. For those of you who are unfamiliar with this category of games, they were first introduced three decades in the past, where they didn’t have the success they were expecting to hit. In that time, Slingo Originals started to create the slingo games and kept on pushing the market, with hopes of making slingo great again, which they succeeded, with the help of some of the top slot providers who wanted to make the market a more interesting place. Now, when the slingo games are in their highest peak, available in almost all of the online casino and ready to be played whenever you want, the guys from Slingo Originals are more than happy with what they’ve accomplished. If you ever play a slingo game on a mobile device, you will notice that it’s probably made by this company. Their games are interesting for every player. They are quite simple and straightforward in terms of getting the understanding of it, and everything is perfectly placed on the screen. 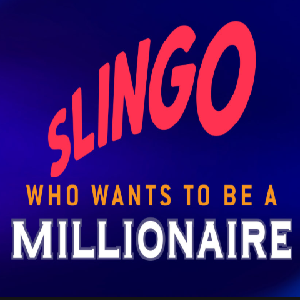 You can notice this in their top games which are Slingo Extreme and Slingo Riches Series, while the same can be also visible in their multiplayer game Slingo Boom which mixes bingo and slingo to offer an exciting white-label solution to the sometimes sluggish world of bingo. Slingo Reel Riches focuses more on the classic casino game lovers, so players can experience the excitement of slingo buffered by the familiarity of slots. This is also the case with Slingo X Factor and Slingo Britain’s Got Talent - classic slingo fun branded with hugely popular shows to offer a gaming experience unlike any other. One of the most important aspects of every provider is their licence and they have done a great job in it. Slingo Originals are bringing TV, Media, Brands, Technology and Gaming together in one unique partnership and licencing deals. They are licencing their own content under a fairly strict surveillance by the UK Gambling Commission, which makes the slingo games coming from this provider safe and secure, and they are always bringing the right information regarding the slot, the RTP and the other numbers in it. To be honest, if it wasn’t for Slingo Originals to keep pushing and going forward, striving to make the Slingo games better and more interesting for the people and always be ready to offer something new and exciting, maybe we wouldn’t be here playing the slingo games in the first place. They were long gone while someone was continuously working in the back to keep them on the level that they are now. Although there aren’t that many information about this relatively old company (25 years old), we’ve shared everything we managed to find about them. 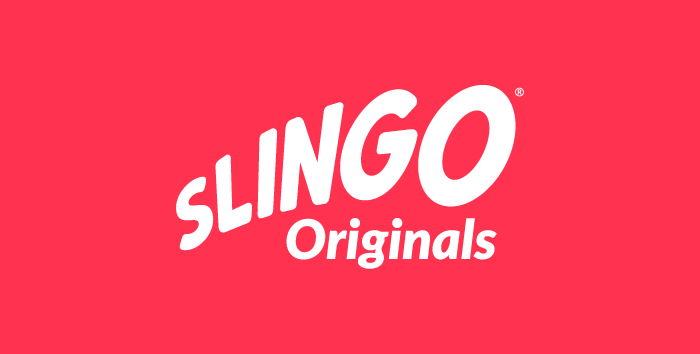 We have one downside to share, and hope that some of the guys working in the Slingo Originals will notice and fix it – their website needs updating and a bit more work, more information, as for now, the only thing that’s working properly is their games and how to play them. Find a proper casino to play the slingo games at, make sure you deposit to get the welcome bonus and enjoy the fantastic combination of the bingo and slot games.